Factory automation is a high-speed, high-volume industry. It requires precise speed and direction to ensure whatever the motor is driving runs safely and smoothly. 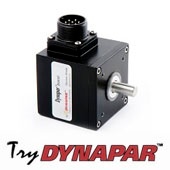 Dynapar encoders can be found hard at work within the packaging industry and packaging OEM machinery and equipment for the food, beverage, pharmaceutical, personal care, and specialty chemical industries to name a few. With the growing popularity of Form-Fill-Seal (FFS) machines along with the acceptance of flexible packages that are rapidly replacing bottles, cans, cartons, and bag-in-box packages- packaging companies are under pressure to save money by maximizing package functionality and by jettisoning expensive paper and board materials all while meeting market demand. 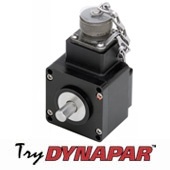 Dynapar’s complete line of industrial encoders and counters are there providing critical unit counting, conveyor speed or cut to length (taper, batch or totalizing) feedback to packaging machinery operators. Our standardized and customized encoder products track how much material has been used as well as maintain fixed conveyor speed to ensure that packaging, manufacturing and sealing steps occur in proper sequence to prevent costly production scrap or waste. 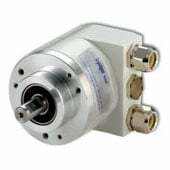 Our encoders are used in a variety of applications from cartoning, multipacking and filling equipment to capping, sealing, and closing machinery. The New Qube has been enhanced with higher grade sealing for industrial applications like measuring and cut to length in environments where there can be dust and other contaminants. Click on the image above the learn more. Precision and absolute positioning, required in some Factory Automation applications, allow for continuous feedback for pick and place, and other tight control applications. The AI25 is your solution if an application requires absolute positioning.